Although Herschel is a relatively new brand, many of their bags feel oddly familiar. Their Heritage backpack in particular is reminiscent of vintage daypacks from the 1970’s that gained popularity with students at the time. Fast forward 50 years and the idea of a school daypack feels far from revolutionary. But there is still something incredibly charming about the original daypack design that Herschel recaptures with their Heritage backpack. The main difference between the Herschel Heritage and its more modern sibling the Herschel Settlement is that the Heritage features more vintage design elements such as the a leather lash tab on the front and a contrast panel on the bottom. Size wise, the Herschel Heritage (21.5L) is one of the smallest Herschel daypacks when compared to the Herschel Pop Quiz (22L) and the Herschel Settlement (23L). The Herschel Heritage is available in 2 different sizes; full size (21.5L) and mid-volume (14.5L). 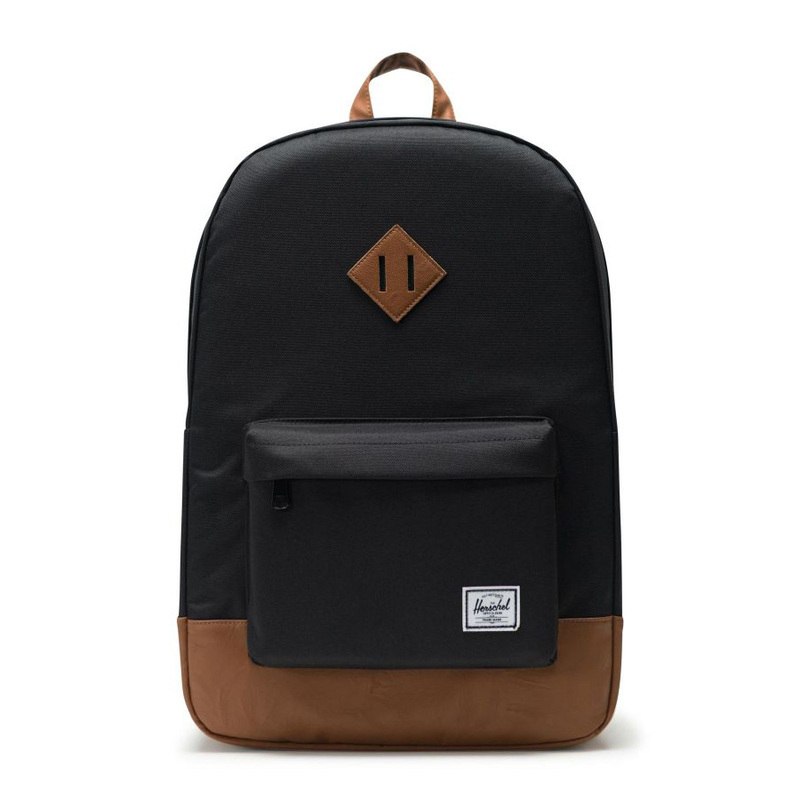 The specs and photos on this page are of the full sized Herschel Heritage backpack. Lack of organizers and pockets can feel limiting if you carry a lot of small items.